Every few months, we experience a little bit of stress at work and these past few weeks were one those. The last two weeks have been hectic, so I guess it was a very rightful reward to finally have some of my favorite Wasabi Prawns from The Noodle House. 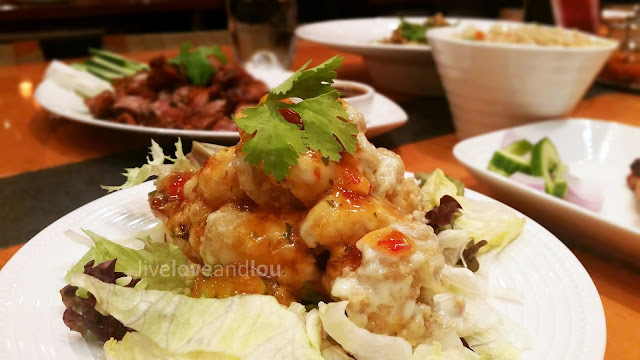 Also, while waiting for the hype to die down at PF Chang's at Villagio, I think this place could satisfy your Asian food cravings, for the time being. 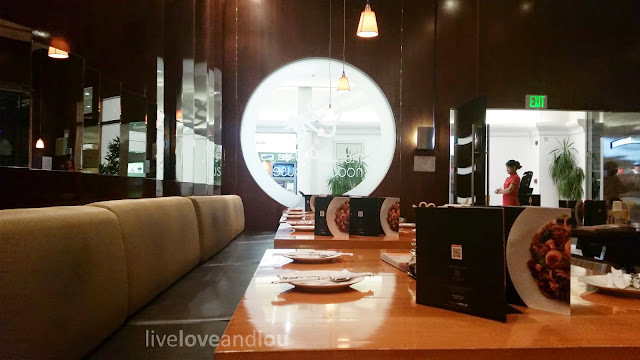 It was our first time to try their Landmark Mall branch, we've previously dined at their City Center and The Pearl branches. I think my favorite would have to be the one at The Pearl, maybe because of the view. All are equally neat and spotless, nonetheless. The above photo are the Wasabi Prawns I've been raving about. I'm not sure how to properly describe this starter, all I can say is that you have to try it for yourselves. The best thing I love about this dish is the mango salsa, it is refreshing with just the right amount of spice. Ever since I first tried the Chicken Satay from our ASEAN Food Tour at Katara, I've been keeping an eye out on menus for this. Unfortunately, I was not at all convinced with The Noodle House's version of this famous Indonesian dish. 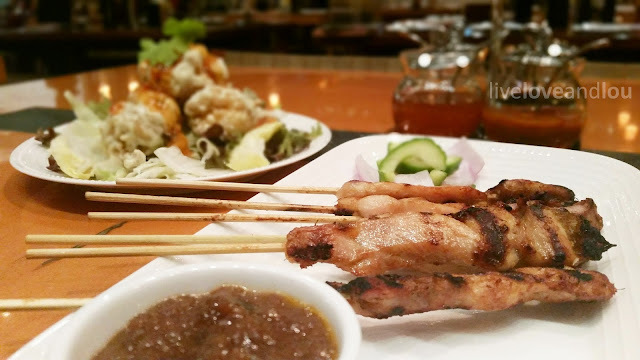 Theirs looked a bit depressing compared to the authentic appearance of the satay, don't you think? Even the peanut sauce did not satisfy both Raymond and I. 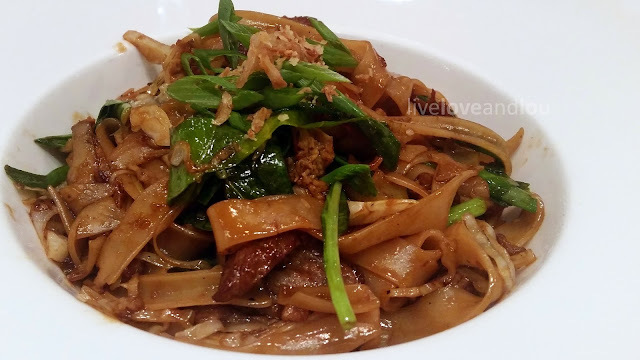 The Beef Char Kwey Teow is flat rice noodles in oyster sauce. The rice noodles were just OK, simple and straightforward. 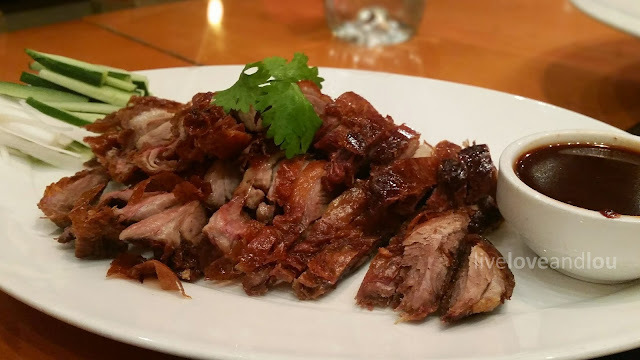 Now, who goes to an Asian restaurant without getting Roast Duck, right? 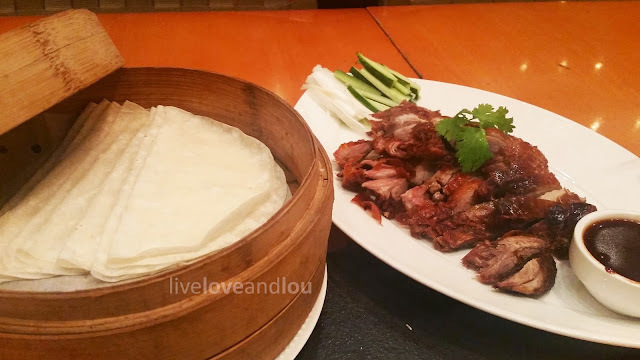 This dish comes with lotus pancakes and hoisin sauce. The duck was tender and it seriously melts in your mouth. There were some parts though, that were toasted and hard to chew on. 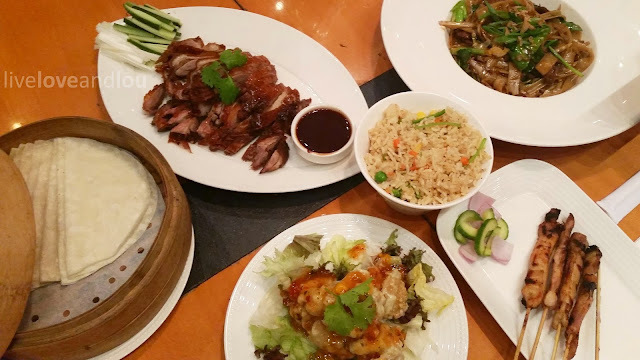 If you are looking for a fusion of Asian food, The Noodle House is a safe place to dine. 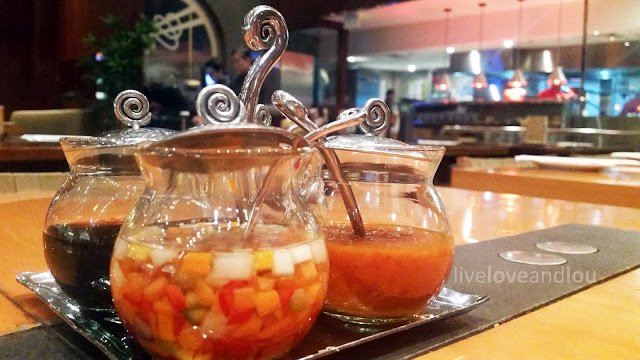 They offer a variety of South-East Asian food from countries such as China, Thailand, Indonesia, etc. They have three locations in Qatar: The Pearl, Landmark Mall and City Center. Again, we used the Entertainer App for our meal so the Beef Char Kwey Teow was deducted from our total bill. Your post made me miss Noodle House. Those two are my favorite with the addition of green curry chicken. Haven't tried their green curry chicken, but I'm guessing it's really good. I'll take your word for it. Super love their Nasi Goreng! Haven't tried their Nasi Goreng. I think I should try to order other menu items the next time I go there. I'm super predictable when it comes to the menu. Haha. Thanks for the tip.